 The redesign of Wine Country Lifestyle was a pretty big deal here at Left Coast Marketing. WCL (we call it) is a magazine that we produce, customized per client. Because each magazine is customized, redesigning the magazine also meant that we would be redesigning our Clients' magazine – so we were cautious not to let our ego get ahead of us. Market research is what we began with. Who is our customer? Who, ultimately, will be the one flipping through the pages, reading the articles, and admiring the photography? In our line of business, our customer goes beyond our Client. The true customer is our Client's customer. In this case, it is the wine club member who just opened up their club shipment and decided to flip through the pages of the enclosed magazine (meanwhile sipping on their new wine and reminiscing about the wine country). Once we nailed down the WHO, we got to begin on the WHAT. We put together a few mocks for a new cover design and table of contents, and sure enough we had a winner. The new logo for Wine Country Lifestyle now emphasizes "Lifestyle" versus "Wine Country," a small but important detail to us as a company. We are looking to expand beyond the box of the wine country, meanwhile maintaining roots in where we are. After all, it is clear to any passer-by that we are rooted in the wine country, and we sure do not produce wine, so let's focus more on the lifestyle that us local wine-lovers live. St. Francis Winery got to be the first Client experiencing the new design. They have been a fabulous Client to work with, as it is not their first time in the rodeo, and they are open to the magazine evolving as we evolve. We are excited to present this Fall's Wine Country Lifestyle, and invite you to flip through the pages of our digital version. Struggling to develop NEW content for your wine club newsletters and shipment inserts? Wine Country Lifestyle magazine was developed by Left Coast Marketing to help wineries promote their brand story, products, recipes, and events to their customers and wine club members. Each issue is personalized with regional lifestyle articles and a fully customized cover and center spread for the winery. Read below to hear more about how one of our clients transformed their wine club shipment materials with Wine Country Lifestyle magazine. When St. Francis Winery signed on as a partner with Wine Country Lifestyle magazine, their goal was not only to minimize the amount of loose literature that was being shipped in club member shipments but to also provide members a more robust visual piece that represents their brand. “We didn’t really have a newsletter. What we use to do with our shipments is put a letter in the box that talked about the wines they were receiving, including tech information – and then we also had tech cards and a recipe for each wine. It was a lot of paper and we were looking for something different to spruce it up and give our members something more cohesive,” said Erica Gomez, Senior Marketing Specialist. “What we had originally also didn’t really say anything visually about who we are and what we do,” she added. St Francis Winery was able to work with Wine Country Lifestyle staff to personalize the magazine to fit their winery brand and pair feature articles on regionally specific lifestyle content developed for the wine enthusiast. This quarterly publication helped them to combine several marketing solutions: a quarterly newsletter, a wine catalog, and a club member gift that members can enjoy until their next shipment. “There were a lot of pieces that weren’t as much as a problem in-house as it was for the shipping and making sure the right pieces landed in the right boxes. The magazine allows us to streamline that process,” said Erica. Although the magazine is still new to some staff and club members, St Francis Winery has received positive feedback on the change. Not only does Wine Country Lifestyle magazine offer a personalized magazine for wine club shipments, the magazine can also be digitally distributed to a winery’s entire mailing list. For more information on how to boost club member retention and wine club reorders through Wine Country Lifestyle magazine, visit www.leftcoastmarketing.com.